Next week at the IAAPA Expo in Orlando, one of the attendees will be showing a very different type of roller coaster, the Spike Coaster. 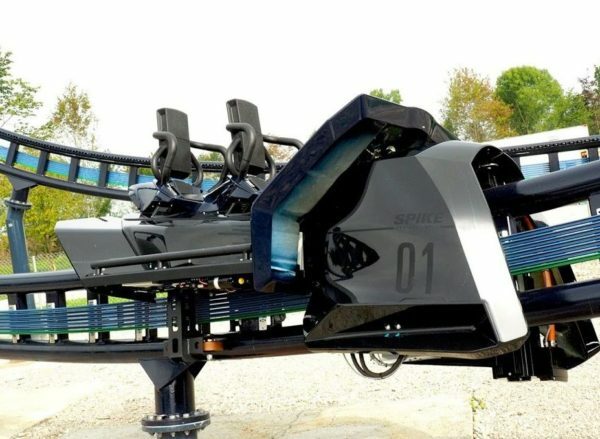 Spike is a new type of powered coaster developed by Maurer Rides, and the first prototype began testing in Germany earlier this year. 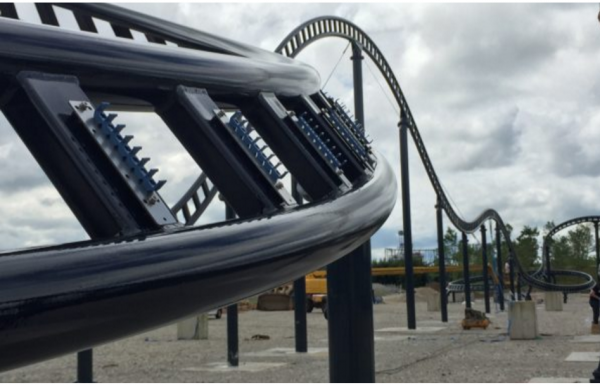 When we first saw the pictures of the unusual single railed Sky Dragster at Allgäu Skyline Park near Munich, Germany, we knew we had to learn more about the innovative Spike Coaster. 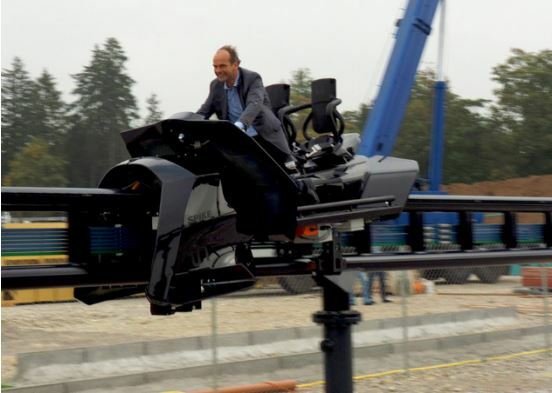 Spike Inventor and Maurer Rides CEO Jörg Beutler going for a test ride. What is a Spike Coaster? 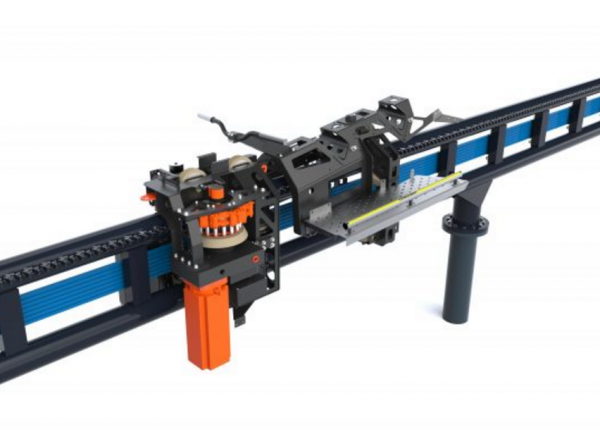 The Spike Coaster is a powered coaster that is driven by a rack and pinion, like in a car’s steering system. The “rack” is a row of gear teeth that is fixed along the length of the track also known as the “counter-toothing”), while the “pinion” is a gear on the ride vehicle that turns to propel the car down the track. 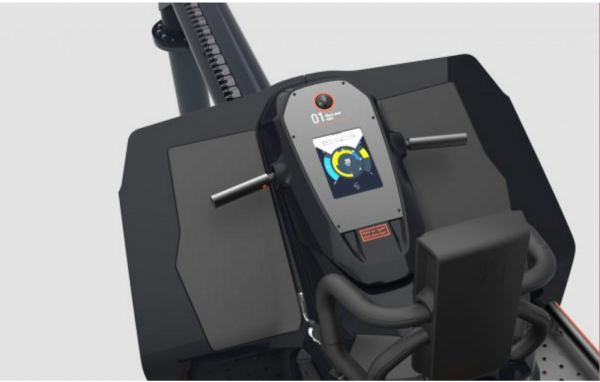 Steve Boney, Executive Business Development of Maurer Rides, told us that the idea was developed by Maurer Rides CEO Jörg Beutler about five years ago. Rack and pinions have been used for transportation since the 19th century in “Rack Railways”, but Boney explained to us that the key development was the ability to make the rack into tight, compound curves. 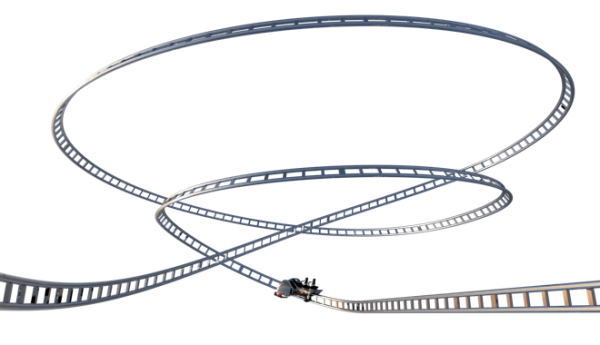 This allows the Spike to follow the high speed designs of a roller coaster track. The technology was developed primarily for the roller coaster field, but in parallel Spike’s “people mover” design was developed, which is primarily being marketed for places like ski resorts where a rack railway that can operate in all weather conditions could be useful. Spike views the technology as usable in a wide range of transport fields, but as Boney told us, Beutler loves roller coasters, and that was his primary intention for the invention. The teeth along the Spike track are the “rack”, while a gear on the vehicle is the drive wheel. As mentioned above, Spike is a rack-and-pinion coaster, driven by a motor on the ride vehicle. The other obvious form of powering a vehicle along the track is to use drive tires, but the rack and pinion offers several advantages over drive tires. The biggest benefit is that the gears allow for faster accelerations and speeds through turns. Drive tires can slip if the vehicle accelerates too much, just like a car that skids. On turns, the tires on the inside and outside of the bend get squished a different amount and have to move at different speeds (as the outer tire goes through a bigger radius), which also slows the vehicle. The rack-and-pinion eliminates these problems. The cut-away of a Spike vehicle shows how the drive pinion on the car interacts with the rack on the track. 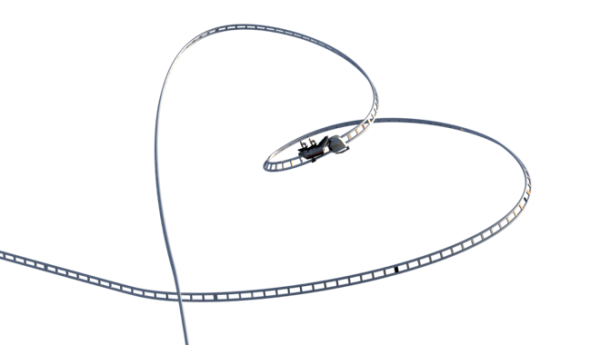 The tight turns of the Spike Coaster allow for several unique design elements, utilizing the compound curves the technology developed by Jörg Beutler allows. The way the ride is designed, the rack teeth on the track won’t wear away over time, so it should be low maintenance. This is achieved by using polyurethane drive gears on the cars. The drive gears can be easily changed in the same way wheels are changed on normal roller coaster cars. Thanks to the fact that the polyurethane will wear preferentially compared to the metal teeth bolted to the track, only the wheels will need regular replacement, keeping maintenance costs down. One of the other great benefits of the Spike design is that it can both be pre-programmed to go at certain speeds throughout the track (like in a way that, say, Radiator Springs Racers at Disney’s California Adventure works), or the individual vehicles can be controlled by riders. The vehicles would have certain minimum and maximum speeds throughout the course, but you could design in certain “boost zones” where guests could hit the accelerator. The vehicle’s speed limit can also be different depending on the area of the track to ensure the riders safety, or change the experience. Designers can say, “this section is only going to draw X amount of power maximum” and even if a rider is using the accelerator to go full blast, the power draw and therefore the speed is limited until they leave that section. The flexibility with speeds means that you can also use the same track for different levels of thrill. “Different track profiles can be created on the same track. One hour (can be) aggressive, (the next) hour is smaller kids. 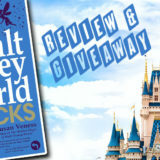 Or every ride (can be) different.” Steve Boney explained to us. It also means a ride could be updated over time so that each year it’s a “new” ride. As for how the braking and block sectioning works, it’s sort of the opposite of a normal coaster (which you can read about here). There are no sensors on the track, all sensing is done by the vehicles, which report it to a main controller via wifi or an extra “communications” rail. The vehicle position is determined by counting the gear teeth, similar to how an odometer on a car works by counting wheel rotations. Steve Boney told us this allows for precise control to “within 10cm at all times.” Each vehicle has it’s own block zone, like a bubble around it, that other vehicles can’t enter. So if one vehicle is going slowly and another catches up to it, the trailing vehicle will have it’s max speed limit reduced to keep it out of the “block zone” of the slower vehicle, and the slower front vehicle may be sped up. This blocking is a big part of what allows the capacity to be kept relatively high even though there are single vehicles rather than long trains. Steve told us they can get dispatches up to as quickly as every 5 seconds, which can give capacities up to 1,400 riders per hour, depending on the track length and speeds. However, if there are more vehicles on the track at once, a guest has less room to play with speeding up or slowing down a vehicle if it isn’t pre-programmed, so it is a balance for the designers. Spike currently offers several different vehicles that can be used on the same track, some with riders on the outside (like a wing coaster) and some with riders on top. From one of their patents, this is possible because “The centre of gravity of the laden or unladen vehicle is always above, albeit as close as possible to, the first and/or second guide element. Thus, a seat arrangement can be provided, wherein at least one of the rails (first and/or second guide element) is arranged between the legs of a passenger or at least one of the rails is arranged between two adjacent seats.” This variety also means that a ride can be updated with different vehicles to offer a new sensation. Or a Wing Coaster style “Air Spike” vehicle. As we mentioned before, each individual vehicle is powered, which also means that individual vehicles can have effects. The obvious is things like lights and decorations, but Steve Boney also described to us the potential for things like an interactive digital display. The individual powered vehicles also lead to lower power demands on the ride thanks to the fact that the vehicles are small and lightweight compared to a long train. Because each vehicle launches individually, the peak power requirements are much lower (see our article on launch energy for more on the power required for launches). Regenerative braking on the vehicles also helps reduce energy requirements. Currently the vehicles are the primary limiter on how extreme certain aspects of the Spike can be. The rides all follow safety standards from ASTM for amusement rides on how much the body can be pushed, but aspects of the vehicles like the restrains are what limit acceleration and don’t currently allow inversions in the designs. Future vehicle designs could remove some of these limits. One of the other current downsides is that the individually powered vehicles mean a disabled vehicle is stuck on the track. The vehicles can be towed or pushed by other cars to a safe evacuation area, but Maurer is currently working on a way to evacuate riders wherever a stranded vehicle may be. The Spike Coaster is something that could potentially work really well on a themed attraction. Because the speed of ride vehicles is controlled, potential for themed sections of the ride is high where cars could be slowed, or even reversed. 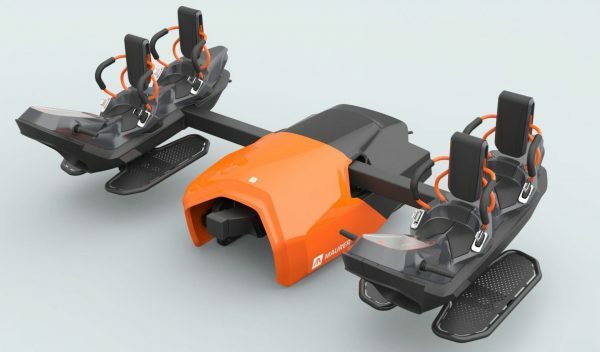 It would be easy to imagine these also meshing beautifully with VR, as the vehicles could power headsets, and riders controlling the vehicle could be put into environments where that control gets magnified. The gaming elements also cover the ability to compare speeds like a Go-Kart race, or to directly race neighboring riders on a duel track racing-style design. 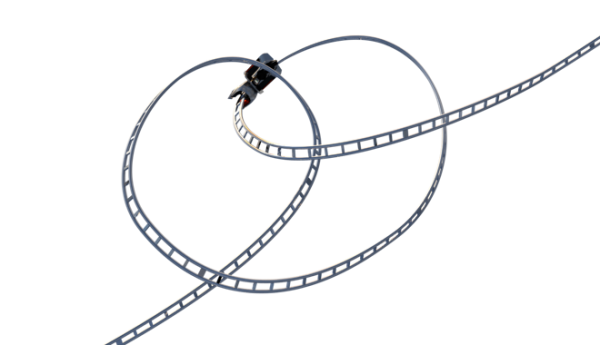 A dueling layout is one way to add gaming elements to a Spike Coaster, and take advantage of the interactive element. 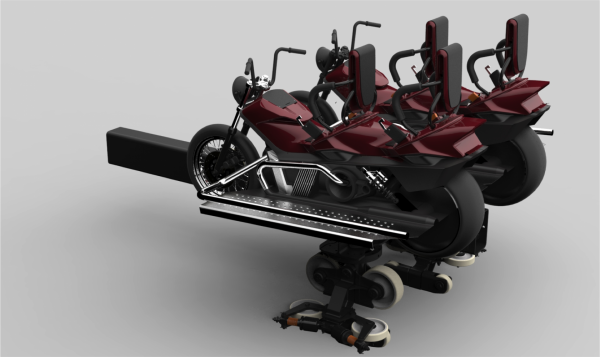 This potential positions Spike to not just be a new type of coaster, but to take advantage of the blending of video gaming experience and amusement rides that is growing. With all this potential, the first question is when will Spike show up? 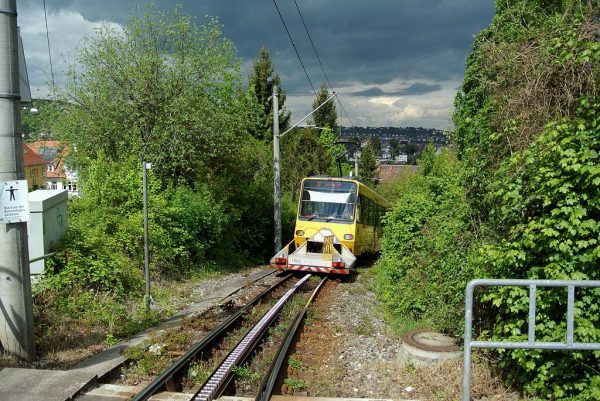 Well, the first prototype has been operating near Stuttgart, Germany for about two years. 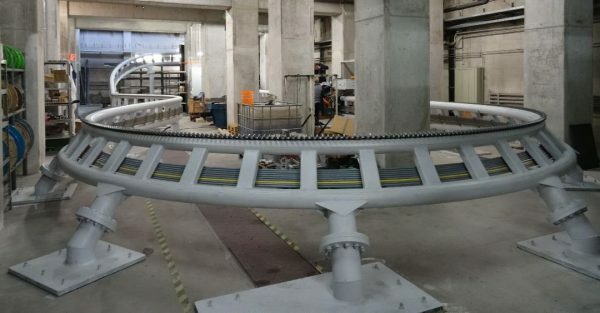 But, as we mentioned above, the first full Spike Coaster is built and being tested and demonstrated at Skyline Park in Germany, ready to open to the public next April. As for when it might start showing up elsewhere, Steve Boney told us that it the design is approved and ready to be sold to US parks. 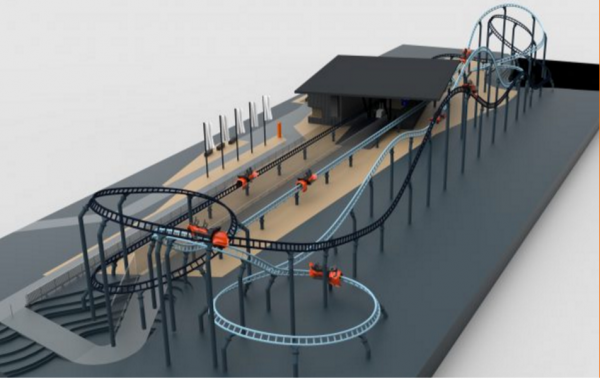 The ride should especially appeal to smaller parks with space constraints, since there is no need for a large lift hill or launch run, and the design allows for tight turns. The prototype test track in Stuttgart. So the question we have for you, is what park do you think would be a good match for a new Spike Coaster? Let us know in the comments below, or on Facebook or Twitter. 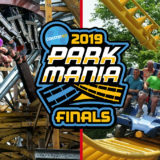 You can find lots of more information about Spike on their website, and let us know if you have any more questions about the coaster and how it works! Huge thanks to Steve Boney for sharing lots of this information with us, and getting us excited to try it someday. 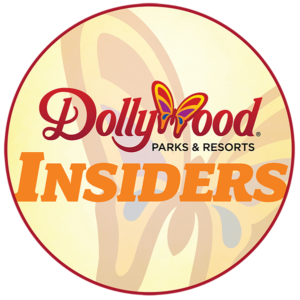 Keep an eye out for new information from Maurer at the IAAPA next week! This type of coaster has a lot of potential and since Universal is going to be working with Nintendo, I feel like a Mario Kart themed spike coaster would be perfect there. Great idea Austin! I also think it would be sweet as a Tron Lightcycle coaster. I would love to see a Star Wars themed “speeder bike” style coaster at Disney’s Hollywood Studios where you race through the woods against other people… endless possibilities! As much as I hate to see Dueling Dragons go, I think that this could make a really cool and interactive dark-ride replacement. In general, I’d love to see what US could pull off with this technology.